My trip to Germany was an extraordinary experience; it was for me my first trip to the other extreme of the earth. My name is Ernesto Espinosa, I work as an orthopedic surgeon in a small town called Puerto Cabezas, wich belongs to Nicaragua in Central America. Five years ago I had the privilege of knowing the group “Apoyo Médico”, formed by colleagues and friends from Germany. They are all volunteers, committed to help in specialized health care and to train surgeons in arthroscopic techniques. This has come to benefit patients of our hospital and me as surgeon. 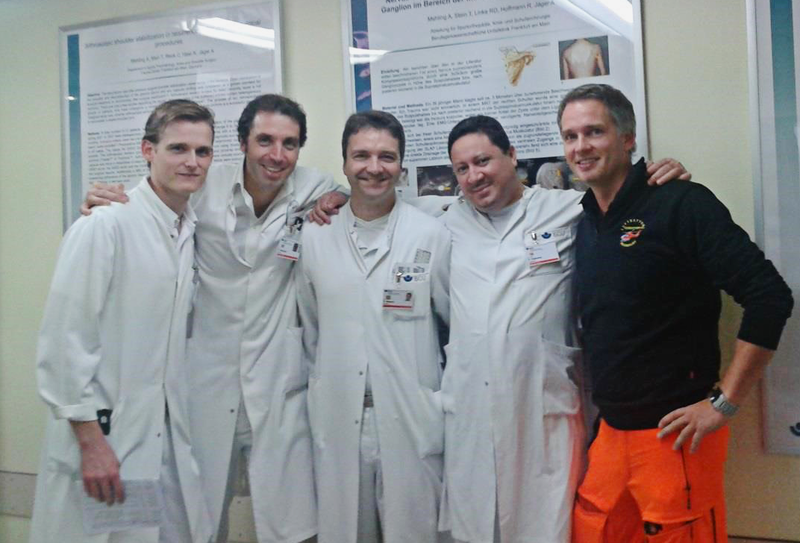 In October 2014 I was invited by “Apoyo Médico” to visit Germany. At Frankfurt airport Dr. Emmert waited for me and took me to my hotel in Bad Vilbel. He put me up with my schedule of the month and took me to the BG Unfal Klinic in Frankfurt. There I observed surgeries in the area of trauma and orthopedics for two weeks. 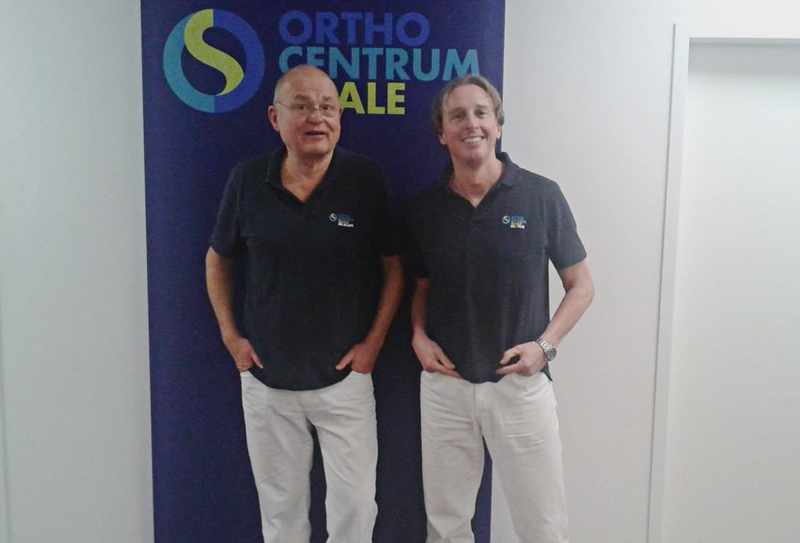 My tutor and guide was Dr. Frederic Welsch an illustrious orthopedic and excellent person. He took me weekend to Eperthausen to meet his beautiful family, his wife and two lovely girls: Katarina and Larissa. They took me to know Darmstadt. They are very good friends. I save many memories of my days in the Unfal Klinic, the trauma and orthopedic surgeons are excellently skilled, nurses are efficient and all the staff in the operating room have won my sincerest respects. My farewell was in Zur Schonen Mullerin where I tried the sweet and bitter Aple wine. Thanks Welsch and colleagues for that afternoon! Then a very special person took me to Dresden, a really beautiful and worth visiting place. It was my first experience in a high-speed vehicle running at 250 km per hour and an experienced driver at the wheel: Dr. Iris Lasser. I heartily thank the tourist weekend. God reward you for such kindness. Then I went to Bad Noistad to my friend Dr. Peter Trus; an experienced orthopedic surgeon who operates around 900 knees per year. His clinic is called Nessa and his department is Ortho Centrum Saale. His coworkers are as friendly as he is. The week I shared with them I could see that he is well appreciated and loved by all. I learned a lot seeing his clinic and surgery, thanks for sharing your knowledge with me peter! I met his wife Bea, Their daughter Paola was in the US so I could not met her. Peter and Bea took me the weekend to Munich where I spent two days. In Munich, Ralf Muellers allowed at Arthrex Peter Trus to trained me in ACL surgery in cadaverous knee using today technique. I really feel a deep appreciation and friendship to Trus, he drives his car from Bad kising to Munich for my training in ACL. Money cannot buy much goodness, God reward you. 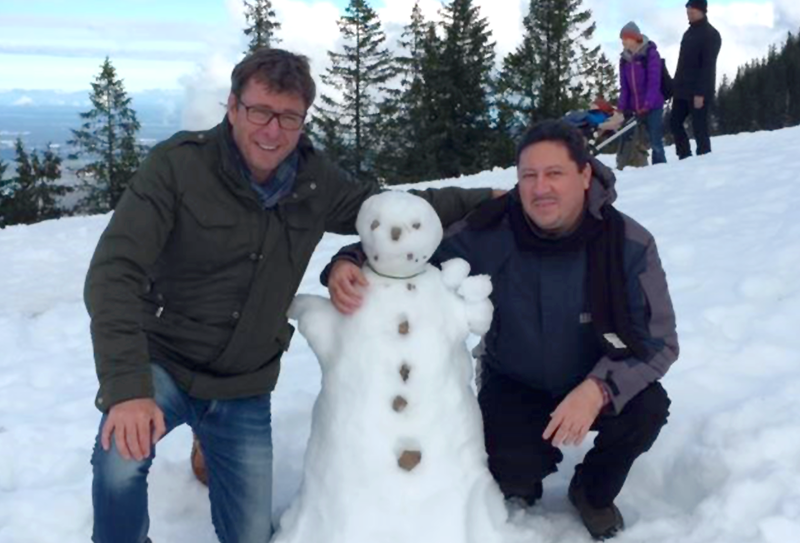 Afterward, Ralf and his wife Mirjam shared with me an unforgettable time at the German Alps, where I first saw the snow. I lay down and hugged the snow and felt an indescribable joy. In my country the temperature averages 30 °C and has never snowed. Thanks for that moment. Three years ago Ralf visited Nicaragua and was at our hospital, he met our co-worker staff and people of the town, I was glad to see he still keep pictures of us on his computer. My next destination was the sport Klinik in Stuttgart with Professor Bauer, there I observed several surgeries in sports injuries. There I met with Dr. Dieter Emmert (president of “Apoyo Médico”) and his wife Daniela. They are very special people for whom I feel great admiration. For my trip come true Daniela organized the details and made the necessary arrangements. 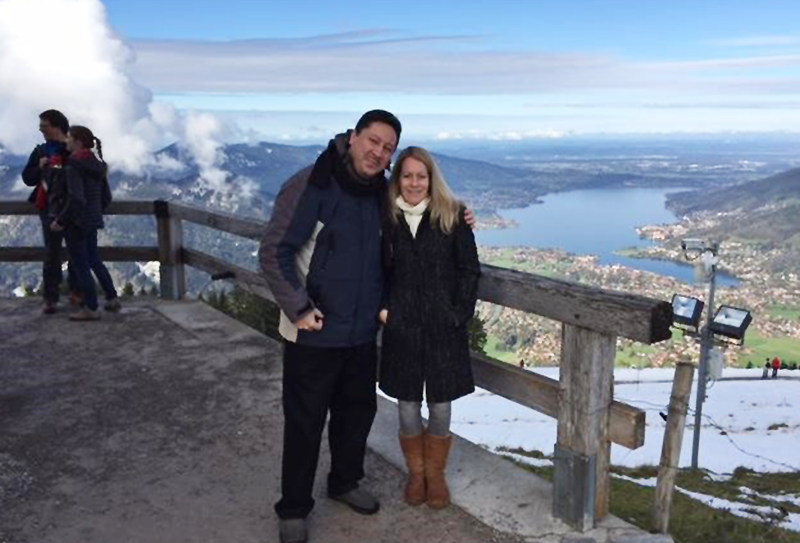 Dieter and Daniela inspire compassion to “Apoyo Médico” participants to leave their beautiful Germany, cross the ocean and come to Nicaragua to extend a helping hand. Thanks Dieter and Daniela! My final destination was to visit the clinic of Dr. Johannes for three days. I stayed at home and I can say that he and his wife are very nice people. At the clinic I met Dr. Wolfgang who took me to his hometown and told me stories about the river and his sports practices, also about the old castle and wall. I am grateful for the time they spent with me. Talking to Wolfgang and Johannes was unique and inspiring. Germany is a beautiful place and I would like to return someday with my wife and children so they know your landscape, culture and food....... (especially potatoes made by Dr. Welsch wife and the schnitzel made by Bea, Dr Trus wife). I keep in my heart every moment, every gesture you made, sincerely appreciate your friendship, I value what I was taught at your clinics, thanks Arthrex, Thanks to Alwin Jaeger foundation, my wish is that God reward you all for this opportunity.